Payment Options - Many Ways to Pay! You can pay using Paypal directly from our store or manually pay if you prefer. 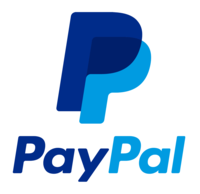 Registering an account with Paypal is free, however you do not need a Paypal account to purchase with them. You can use them to process your debit/credit card if you do not have an account nor wish to register one. Paypal is the preferred way to purchase with most customers, but if will not work for you, or you would like to receive a 20% discount on your order, please check our other payment options below. 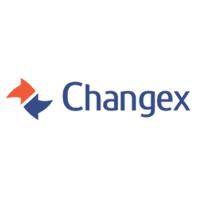 Using this service, you can send payment to our Paypal account using; SEPA, BankWire, Advanced Cash, Perfect Money, Payeer, EXMO Codes, SolidTrustPay, Bitcoin, Ethereum, Ripple, Bitcoin Cash, Litecoin, Stellar, Tether, TRON, Cardano, Z-Cash, Bitcoin Gold, Monero, Dash, Ethereum Classic, MinexCoin, Storiqa, Helbiz, Datawallet, and Epay. Orders are approved manually after the payment is received. If you would like to use this method of payment, please contact us so we can provide you with our Paypal payment account address to receive your transfer. 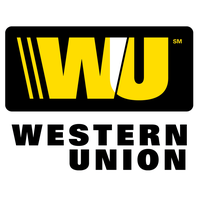 Sending money with Western Union is easy. With minor details provided by us, you can transfer us your payment which is then retreived in person on our end. A 20% discount is applied to all orders who use this method of payment. We have numberous Western Union pickup locations in our area which make order approval a quick process. Orders are approved manually after the payment is received. If you are interested in this method, please contact us so we can provide you with instructions on how to proceed. 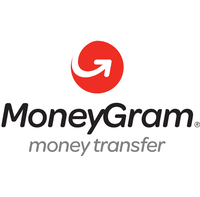 Sending money with MoneyGram is easy. 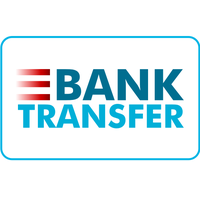 With minor details provided by us, you can transfer us your payment which is then retreived in person on our end. A 20% discount is applied to all orders who use this method of payment. We have numberous MoneyGram pickup locations in our area which make order approval a quick process. Orders are approved manually after the payment is received. If you are interested in this method, please contact us so we can provide you with instructions on how to proceed. You can also send money via your bank to our bank (bank transfer/bank wire) with minor details. Bank transfers are a safe and instant way to make your purchase. A 20% discount is applied to all orders who use this method of payment. Our banking is done digitally so we don't have to retreive your money physically. Orders are approved manually after the payment is received. If you are interested in this method, please contact us so we can provide you with instructions on how to proceed.